What does a job in PR involve? Of course, writing press releases and pitching stories to media outlets is an important part of any PR role. After all, as Michael Rosen, PR and communications director for FTI Consulting, puts it, PR is all about “telling stories” – telling your client’s story and managing their reputation with the public through media outlets. However, this is not limited to just press releases. As he describes: “You may be writing press stories and articles, or creating content for blogs and social media. You need to be imaginative and be able to persuade people to come with you on your journey”. This means adapting your writing style in tone, language and style for the desired audience and document type, whether that be a press release or a different PR tool. Is working in PR a creative job? 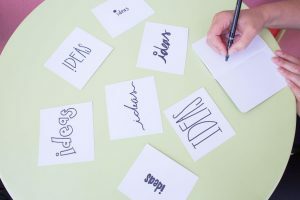 Creative thinking and the ability to generate innovative campaign ideas and content is a highly valued skill in the PR industry. After all, without a ground-breaking idea, it is near-impossible to pull off a ground-breaking campaign. However, channelling your inner creator is something that you may not necessarily think about when starting a career in PR. Artistic flair is invaluable in this industry, helping you to create visually stimulating content for social media assets, monthly reports, presentations and mood boards. These skills allow you to create content that is as vibrant and bold as your brightest idea. Does the news agenda still play a role in PR? Current affairs will become your career compass when starting out in PR. It is your job to know what’s what, who’s who, what’s hot and what’s not. Having current affairs as a focal point of campaigns makes them relevant to your audience. However, these needn’t be limited to the morning headlines. Whilst most would pin scrolling through your Twitter and Facebook feeds as a social pastime, these platforms will become your map, helping you to identify engaging hooks and trends for campaigns which are both relatable and influential. A YouGov survey reports “Social media has overtaken television as young people’s main source of news”, proving why Facebook and Twitter will be your new favourite colleagues when starting a career in PR. Is a PR job desk-based work? Whilst the idea of sitting behind a desk, tapping furiously at a keyboard may be a common misconception of the daily life of PR professional, this overlooks the “hands-on” role when you’re at the heart of campaign action. One day you could be managing a photoshoot, or filming the opening of a new exciting enterprise, the next interviewing celebrities and influencers or conducting ground-breaking research for a new nationwide competition. Watching your ideas come to life on the front line of PR campaigns is something which is not only generally thought of as uncharacteristic to a role in this industry, but is fun, proactive and extremely rewarding. Is working in PR exciting? Starting a career in PR is far more varied than the traditional perception of writing press releases and pitching to the media. Rather, this exciting career field utilises a diverse range of skills spanning across numerous responsibilities and duties which challenge every area of your professional development. Being able to write effectively, think creatively, construct artistically and be socially and politically aware are all essential in order to build a strong reputation for your client and lead you to career success.